From Ali Lamoureux: As young ambitious souls, college presents thousands of opportunities to jump into the fields that interest us. For as long as I can remember, I have yearned to work in a field that enables me to use my creativity for a positive purpose. College allowed me to discover my passion for the arts. This semester I was blessed with the opportunity to work with Tallahassee Film Society. As my concentration lies within the digital realm of art, becoming a graphic design intern proved itself to be an incredible learning experience. 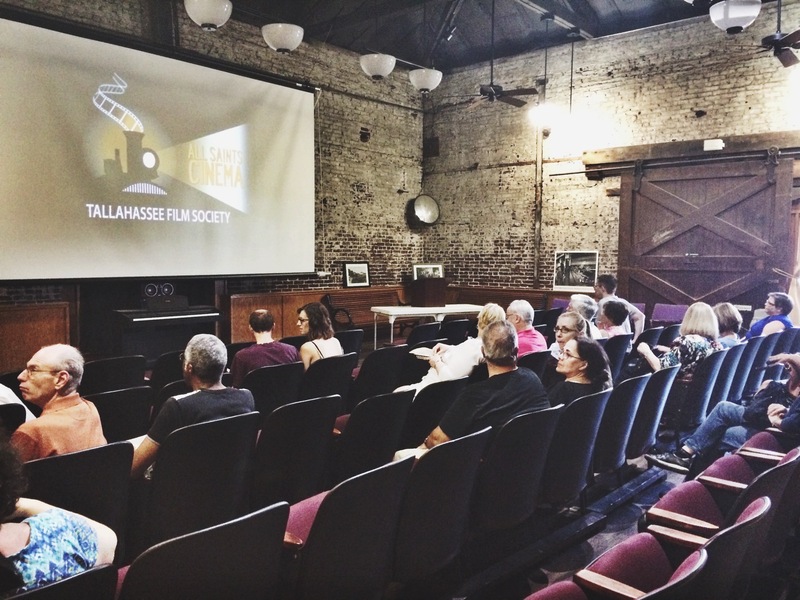 Tallahassee Film Society works in partnership with All Saints Cinema. Showing a wide array of incredible films as well as frequently putting on events, this establishment is constantly keeping me busy. As an intern, I maintain several responsibilities. The first of which is producing whatever art work that is asked of me. The projects given to me change on a weekly basis, always keeping me on my feet eager to broaden my skill set. With each film that is featured, I create a flyer to advertise. 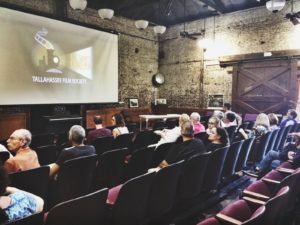 Tallahassee Film Society is also very active within the community, whereby partnering with several organizations to hold events. Each event grants me the opportunity to work with a new client and I am given the chance to bring their artistic visions to life. The extensive amount of work required has enabled my creativity to grow exponentially. My second duty is to work as a projectionist for the theater. It is my job to assist one of the permanent employees during a few films throughout the month. I help project the films, airing the commercials as well as the movie in a timely manner. Being able to physically work within the theater gives me the pleasure to see my hard work come to fruition. 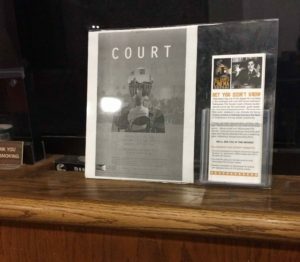 It is a surreal moment when I simply see my flyers on display. This internship has not only taught me numerous professional skills that will forever benefit me, but it has also taught me a great deal about myself. When I first began the job, I found myself struggling to meet the high expectations laid out before me. With extremely fast turn arounds and a vast variety of clients, I quickly learned how to act in a professional manner. I learned to adapt my style to meet that of a clients as well as master the simple art of communicating efficiently. As I am graduating next semester, I aim to take all of the valuable skills I have acquired throughout this internship and put them to use. I hope to keep the valuable relationships I have created with several of my coworkers, providing me with further connections as well as references in the future. I will continue to pursue another job within the graphic design field as I feel I am now qualified. I will forever be grateful for the incredible opportunity Tallahassee Film Society has given me. I highly recommend anyone wishing to take a step into graphic design to pursue an internship with this organization. I have acquired experiences as well as an extensive skill set that I will carry with me for years to come.